Definition at line 23 of file LeonPasses.h. 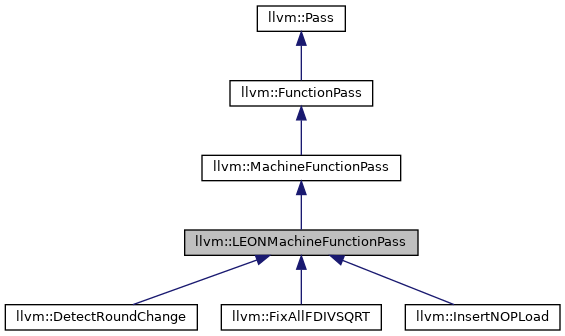 Definition at line 23 of file LeonPasses.cpp. Definition at line 37 of file LeonPasses.h. Definition at line 39 of file LeonPasses.h. Definition at line 27 of file LeonPasses.h. Definition at line 26 of file LeonPasses.h. 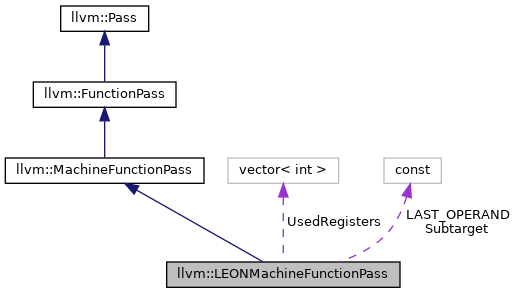 Referenced by llvm::InsertNOPLoad::runOnMachineFunction(), llvm::DetectRoundChange::runOnMachineFunction(), and llvm::FixAllFDIVSQRT::runOnMachineFunction(). Definition at line 31 of file LeonPasses.h.